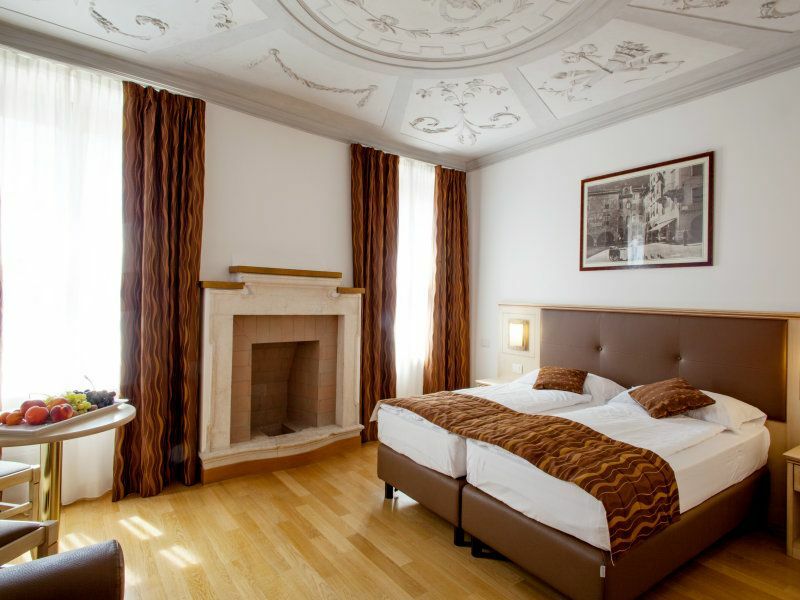 The Hotel Portici 4 stars is ideally located in the picturesque historic centre of Riva del Garda. It is close to the lake and a few minutes from the beach. The hotel, completely renovated in 2012 is proud to offer it's guests a new wellness center and private garage. For the services offered and room types available, it is an ideal choice for couples, sporting types and families with children. The 55 renovated rooms and Suites are of various types and sizes equipped with all the facilities you need to fully enjoy your stay like air-conditioning, free Wi-Fi and LCD TV with SAT. The restaurant and pizzeria have outdoor seating under the atmospheric old porticoes and serve excellent national and international cuisine. Parking.